I had it again and this time I stirred in 75 ml whipping cream into each portion, added some freshly boiled eggs to the top with the crushed cashews. 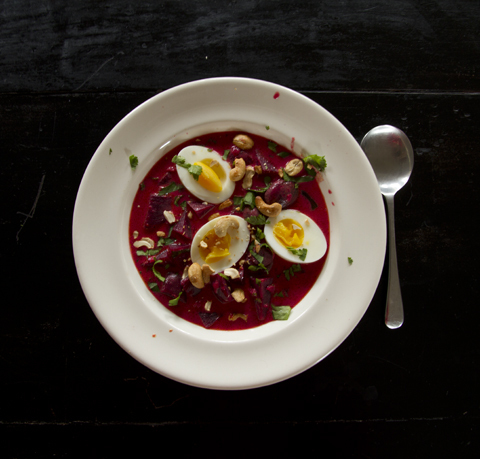 This entry was posted in August, Brunch, Eggs & Dairy, February, January, Lunch, Mains, November, October, September, Soups, Supper, Vegetables, Vegetarian and tagged beetroot, boiled eggs, coconut, curry, vegetarian dish. Bookmark the permalink. 1 Response to Beetroot Coconut Curry – And then I had it again….